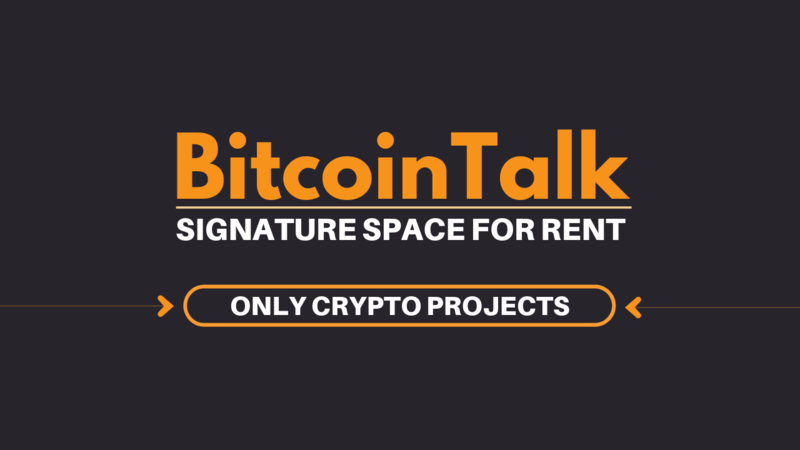 I would like to rent my signature space at Bitcointalk for advertisement. Interested Crypto Startups or established ones can make a contract on per week basis ($160 per week). Do not order until you have contacted me and I've known about your project. I'm only interested to promote legit projects. No scams or shady businesses. Signature codes must be provided by you or see extras.